Christmas always has a bad habit of following close to the heels of Thanksgiving and that meant having to find something to fill two weeks of our lives right after the high of Agra's Taj and Jaipur's Amer. Odisha probably exists on the planet to solve such existential crisis. It is sufficiently different from the previously mentioned destinations and can still hold its own, placed next to them with an additional benefit of not getting drowned in the fog that engulfs most of North India during the peak winter months. Unfortunately, all this is no grand well guarded secret and hence the state does get overrun from tourists, the abysmal travel infrastructure only managing to keep the Westerners away. Apart from having to jostle for an elbow room, Odisha does pose another problem - it is either two flights or a long train ride, long enough to qualify as a human right violation if any human was subjected to undertake it. Hyderabad probably exists on the planet to solve such existential crisis. It is conveniently located so that the long train ride can be broken into two over-nighters. All the elaborate introduction boiled down to us rolling into Bhubaneshwar in the late morning of the boxing day. Since we aren't in Australia, museums are open on this day and that is where we headed after stuffing ourselves with a sumptuous lunch. The state museum houses some decent sculptures in a run down government building and the Tribal museum had some wonderful arts, artefacts and recreated huts of various tribes of the state, all surrounded by a very pretty garden. 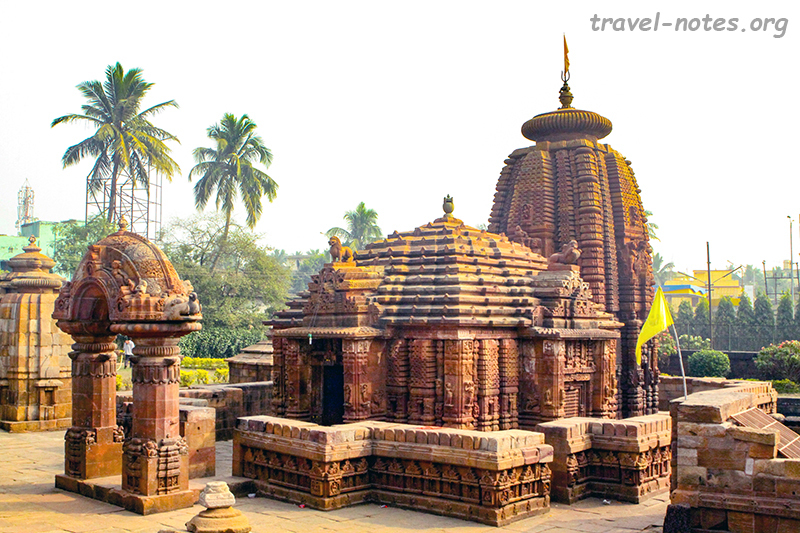 Bhubaneshwar is not famous for its museums (no Indian city is), but it is famous for its ancient temples. They number over tens of thousands and date from the seventh century. About half a dozen of them qualify as must-see. The most famous of them all is the 900 year old Lingeswar Temple with its 54 m tall vimana. All you have to do is to look Indian and Hindu and land up here with a camera around your neck and a temple priest will show you around. The other temple worth visiting are the Parsurameshwar, the oldest amongst the lot, Mukhteshwar, the most ornate amongst the lot, Raja Rani and Brahmeshwar. Half a day and an auto-rickshaw was enough to visit all of them. In one of the most famous historical events in the nation, Ashoka, one of the two Indian rulers to qualify as "the great", after a great war against Kalinga, turned into a tree-hugging hippie. Since he pre-dated the hippie movement by a couple of millennia, he had to settle for the second best, Buddhism. 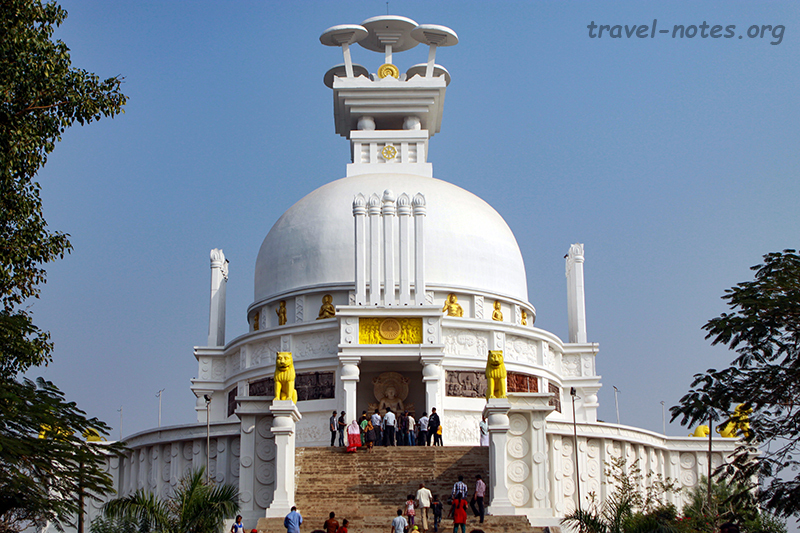 All this history happened 11 km south of Bhubaneshwar in a village called Dhauli. The place has one of the earliest Edicts of Ashoka (some brahmi scribbling at the bottom of an over-hanging rock, for the historically challenged). The afternoon of the temple-hopping day was spent trying to decipher the scribbling and walking up the grand peace-stupa that Japanese Buddhists built in the region. 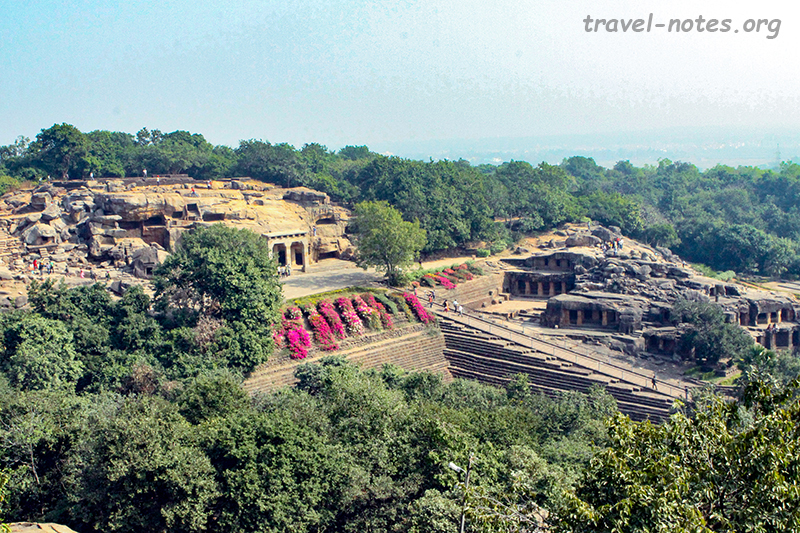 Our history lessons continued the following morning with a visit to Udayagiri and Khandagiri hills. These hills houses some rock cut caves dating from the 2nd century BC. Most of the cave sculptures have worn off, but that is not what the caves are famous for. They are famous for housing more brahmi scribblings, this time from the reign of King Karavela, who is claiming victory over Greek King Demetrius. Ashoka's non-violence seems to have worn out rather quickly. A trip to the caves followed by a forgettable trip to a over-crowded zoo to gape at some visibly tensed tigers brought our stay in Bhubaneshwar to an end. The following day we drove to Puri, one of the four holy temples in India that qualify as a "dham" (I don't think anyone knows what the heck a "dham" is). Stop-and-go traffic on a one lane road ensured that Pranav threw up as soon as we pulled into Puri. That and stifling crowd ensured that we skipped the customary "paying homage" to Jagannath and headed straight to Konark. Thankfully, the road improved and the traffic thinned down enough for us to reach Konark without any more incidents. 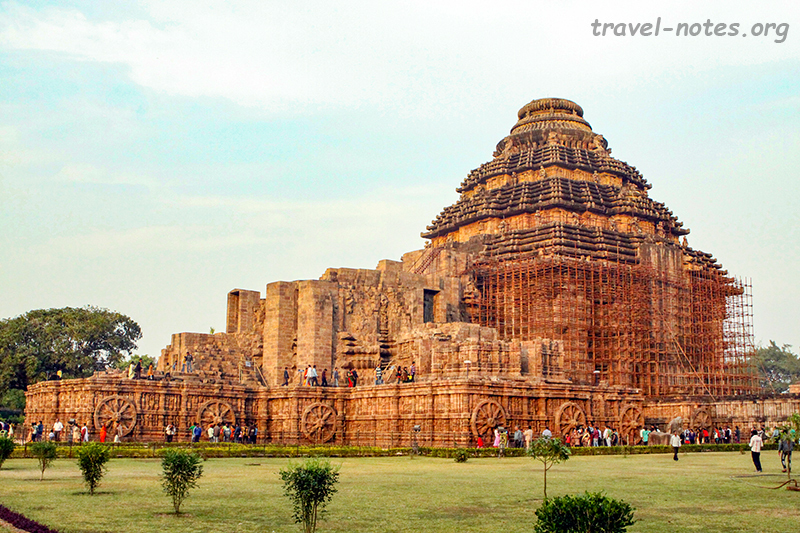 Konark houses the ruins of a massive 12th century temple dedicated to Sun God. The whole temple is built as an enormous giant stone chariot pulled by seven horses. Horses haven't survived the ravages of time, but the wheels have and form one of the iconic images of India. Thanks to our decision to overnight in Konark, I had enough time to photograph the monument in all possible light conditions. The last leg of the trip was to Satpada, a sleepy fishing village on the shores of India's largest brackish water lagoon, Chilka Lake. Long boat rides on either side of the night helped us come face to face with Irrawadi Dolphins, the lake's most famous resident, some good bird life and a spectacular sunset and an equally glorious sunrise. The fact that the trip had to end here was a hard pill to swallow. But we were helped by the appalling lack of decent hotels and restaurants in the region; moreover, we weren't heading back home, we are just shifting our base back to Hyderabad! Click here for more photos from Bhubaneshwar. Click here for more photos from Konark. 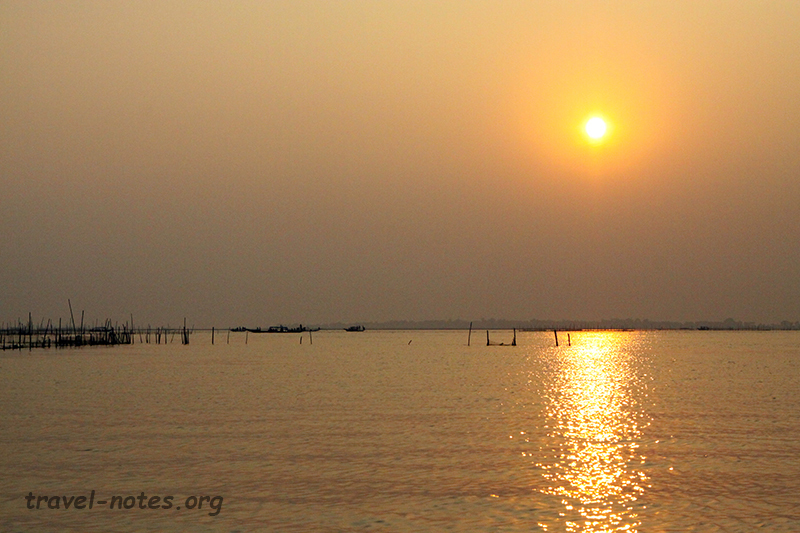 Click here for more photos from Chilka Lake.